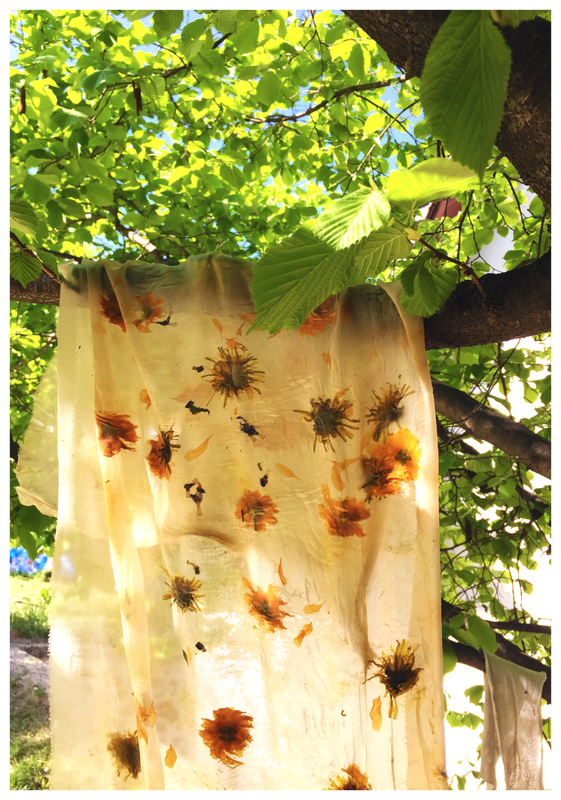 After exploring our love for nature and spring it came natural to add to the story an old passion that brings joy in our souls: dying textiles with natural pigments. Dying with plants has always been a pleasant surprise and with every experiment in the garden we end up with different shades and colours. In time we've learnt how to fix them without using toxic substances. 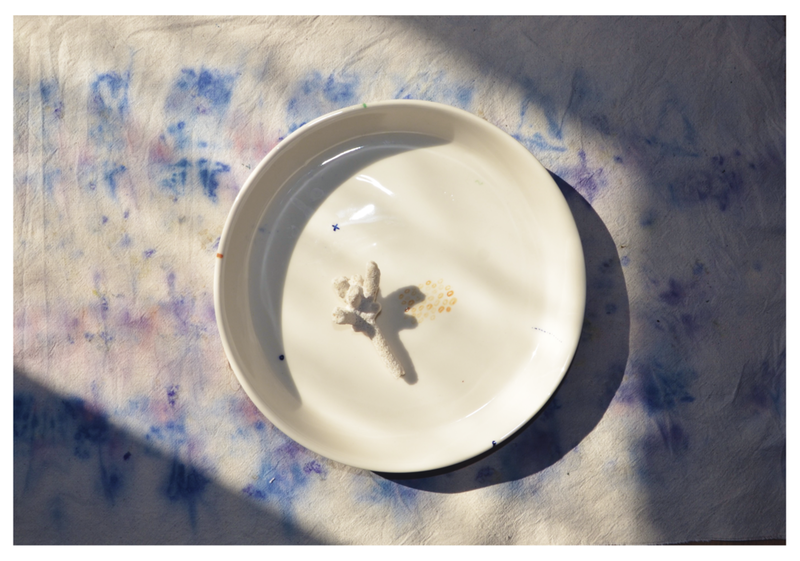 It is hard to establish a trust worthy relationship with a process so random and unexpected but it works amazing as an exercise of surrendering the design process to natural elements that we find locally, now, in this season. Growing up sometimes means going back to your roots and rediscovering passions and traditions. 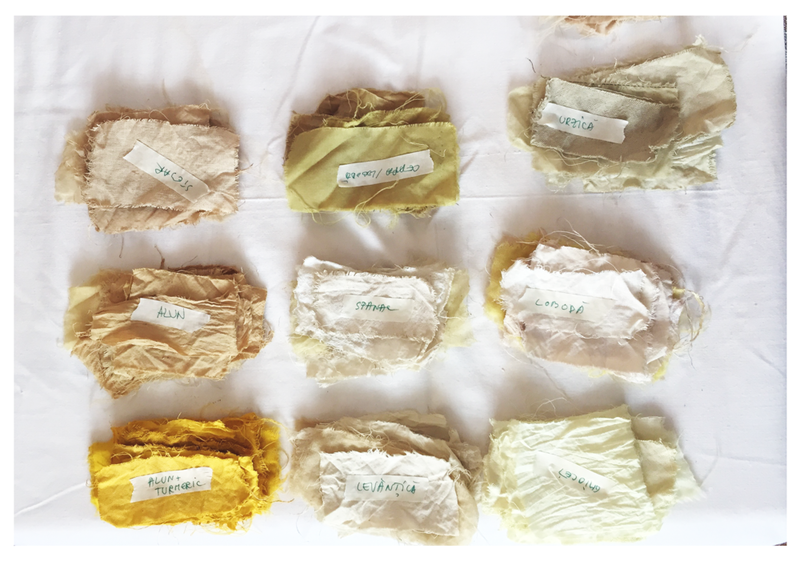 Combined with the vast interest we have for sustainability and craftship, a trip down memory lane regarding textiles is dyeing with natural pigments and it was a natural step in our process. We are still learning, still asking, still reading and trying to understand the process. Not one product is the same with another. The final result is less important to us. We want people to follow the process, read our story, look at our products and ask questions about the plants, the pigments, the mordants. We want to learn and share knowledge about the process rather than come up with exquisite designs. Behind this project we are trying to send a clear message about respecting nature and materials that come from nature and about the importance of this process. Sometimes going back to a traditional process, that is slow and that is constantly testing our patience is a good reason to stop and think that when a product goes through a ritual of creation that depends entirely with the direct communication with the nature, the result is less important than the process and it also tells a story completely different from the classical, modern ways of design.